This chapter explores the journalism emerging in the absence of national and regional media in what is presented as the alternative social (dis)order of Colombia’s “after war”. In this “silent” and “semi-stateless” zone, news not only carries information but additionally embodies the wider human experience. 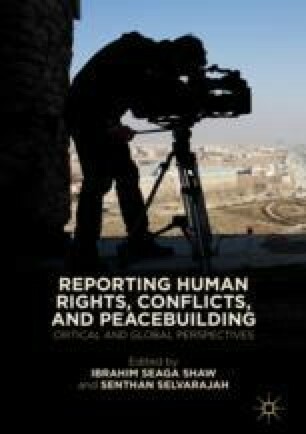 Individuals who engage in sustained journalistic practice in an environment of plural violence or “after war” are exerting their citizenship and resisting against the dominant structures in which they both live and work. It is through this process of shared experience and in the journalists’ “crusade” that witnessing becomes participation and resistance. A journalist’s role extends beyond the recording and evaluation of to participation in and resistance against reality. Bell, E., Anderson, C. W., & Shirky, C. (2014). Post-Industrial Journalism: Adapting to the Present. The TOW Centre for Digital Journalism. Retrieved from https://towcenter.org/research/post-industrial-journalism-adapting-to-the-present-2/.